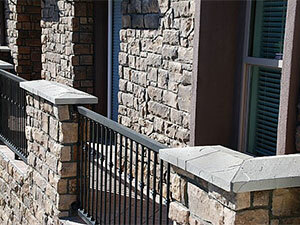 Wall Cap by Stepstone, Inc. will change the way you finish concrete walls. 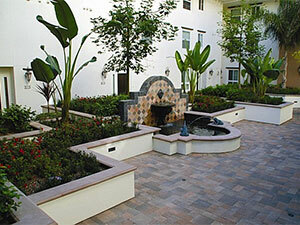 We combine distinctive good looks with high strength, hardrock concrete. 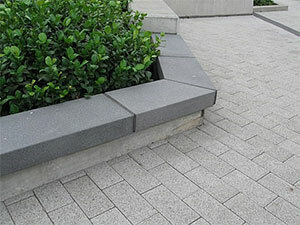 Wall Caps work perfectly as garden bench seats or as a design element that will refine your walls' appearance. They are available in twelve standard colors and two styles - Classic and Square Modular. 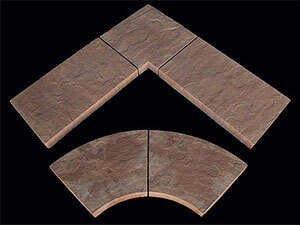 Wall Cap is also available in our beautiful slate finish called Sonorastone. Wall Cap systems include corners, end pieces, radius', straight pieces, as well as, pilaster column caps to complete any project. Custom colors and finishes may be available upon request. Please review the photo galleries, color charts and architectural details.